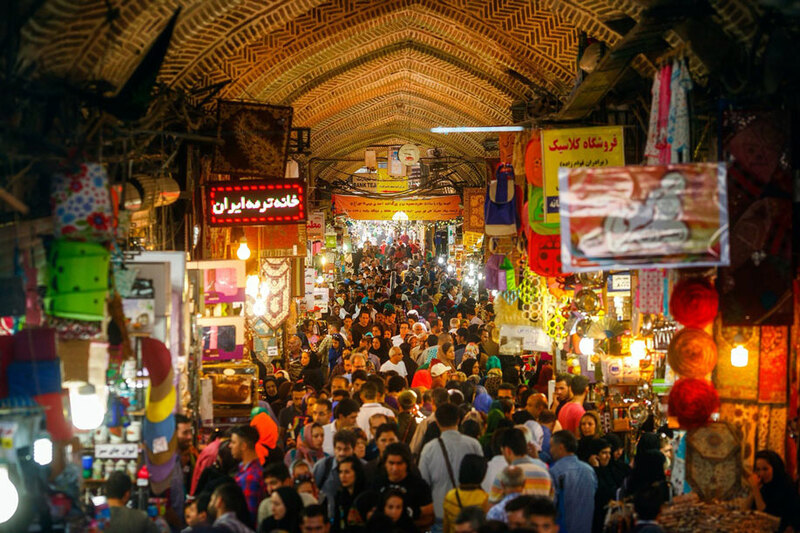 Tehran may be one of the best-value cities in world for travelers but, for visitors, those euros can start to add up after days of museum-hopping. Fortunately, there are plenty of ways to stretch your budget further by cashing in on some tip-top freebies. The name is “Abo-Atash” and it means “Water and Fire”. In the beginning of park you face some stands for having fire, also fountains for shooting water. It is also known as the Abraham Park and it has an area over 24000 square meters. It is attached to a jungle park by the world famous Tabiat Bridge. After searching the park and walking on the multi level Tabiat bridge for a nice view of Tehran, you can go to Wooden Road International Food-court inside the park. It would complete you experience of the neighborhood. The Nature Bridge or Tabi’at Bridge is the largest pedestrian overpass built in Tehran, Iran. The 270-metre bridge connects two public parks—Taleghani Park and Abo-Atash Park—by spanning Shahid Modarres Hwy, one of the main highways in northern Tehran. The bridge design has won several awards, including the Popular Choice Prize for Highways & Bridges from the Architizer A+ Awards, a global architectural competition based in New York. Usually, bridges are designed in a straight line. And that straight line will produce a one point perspective that will tell you to just go. But this one wants to keep people on the bridge. It provides a good view of Tehran and it’s ok to hang there till midnight. After enjoying the bridge make sure you will find the Wooden Road International Food-court near the bridge and enjoy the atmosphere. If there is a park in Tehran that is famous for local artists and progressives, it’s Honarmandan Park (Honar=Art | Honarmandan=Artists). It’s a place to find a public art gallery and meet young Tehrani’s in the House of the Artists, it’s also a good place to try healthier food options at the Veggie Restaurant and Cafe. 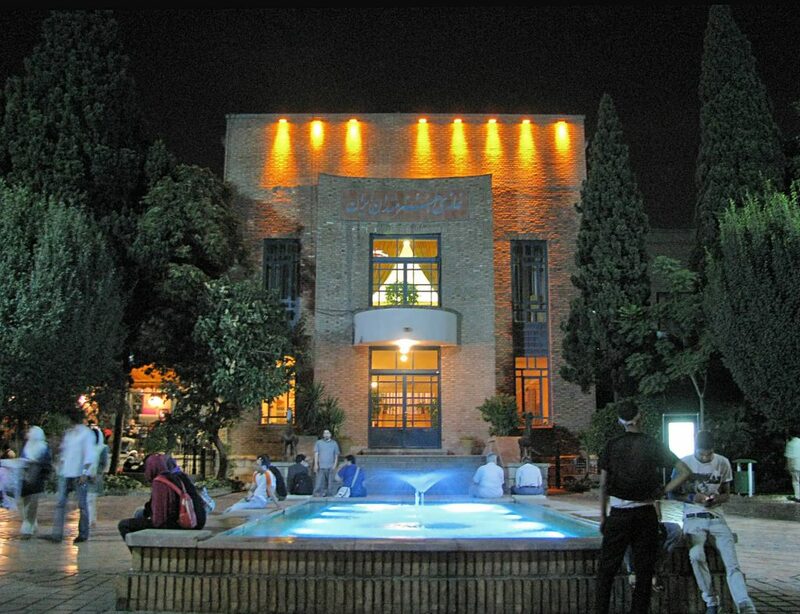 That’s right, artists Park in Tehran Iran has a cafe restaurant located above beautiful Iranshahr Theater serving healthy treats, and the balcony views of the Cafe Gallery makes it hard to beat. Bame Tehran or Roof of Tehran is a great place in the Alborz mountains to enjoy the fresh air away from the city center. Many locals like to go there too, to take a break from busy everyday life. Start with an enjoyable walk and watch the city in the silence of the night. Beside the healthy environment, there are plenty of restaurants, cafes and fast food places to satisfy your stomach with Iranian and international dishes. Young couples and friends usually go there around 9 pm to play sport or just hang. (Nearest Metro station: Panzdah-e Khordad). 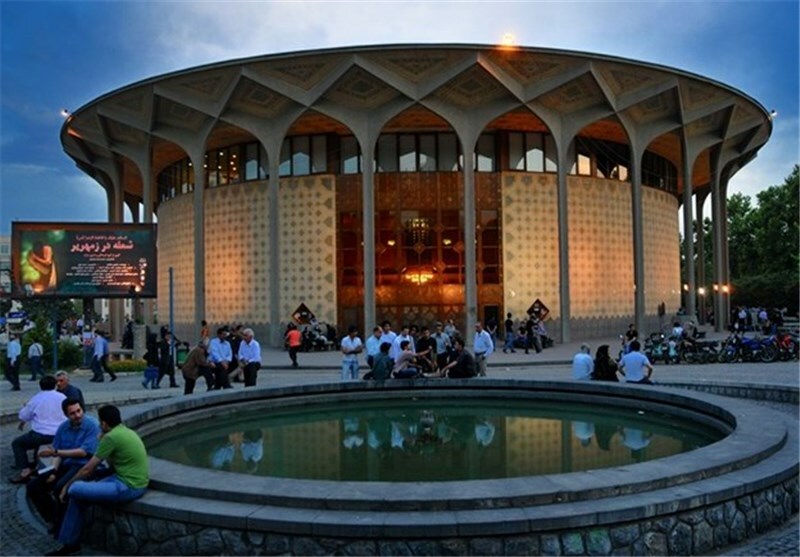 The National Garden is a historical and governmental compound in Tehran, Iran. Formerly referred to as the Parade Square, it used to be a military shooting range during the Qajar period. It was then turned into a public park for a short period, and eventually important governmental offices and museums were built around it. Building number 9 of the Ministry of Foreign Affairs (formerly the Police House), the University of Art (formerly the Cossack House), Malek National Museum, Post and Communication Museum, and the National Museum are situated in the compound. The decorative gateway to the National Garden complex of museums and government buildings, dates from 1906 and was renovated in 1922 by the Minister of War Reza Khan who would later become Reza Shah. The brick structure decorated with coloured tiles was under restoration at the time of writing. (Nearest Metro Station: Hasan Abad). (Nearest Metro Station: Tajrish Sq.). This park is constructed in a surface area of 3200 square meters. 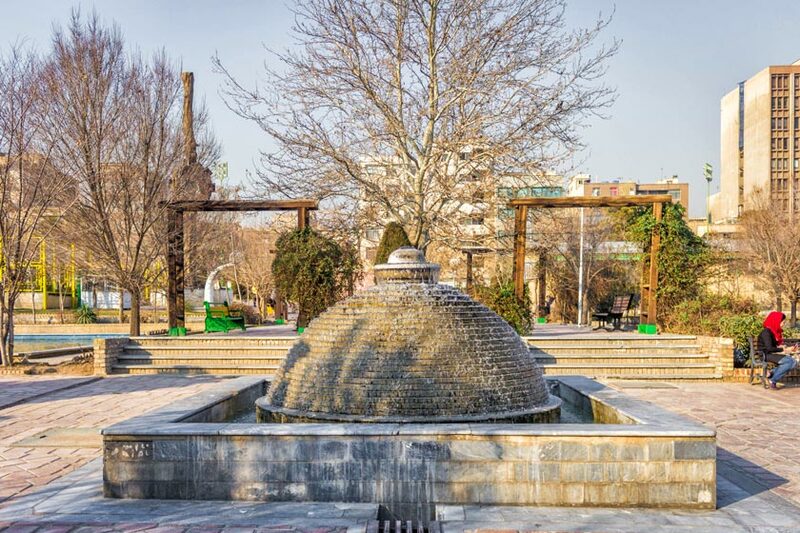 Tehran’s Daneshjoo park is located in the neighborhood of city theater complex. The park is the perfect place to interact with young students who relax in the park and are from several universities in the neighborhood. Usually there are street performances inside the park and in front of the city theater. Located in the most northerly reaches of the city, Jamshidieh is a large park in the foothills of the Alborz Mountains. Fresh air and lush surrounds are enough to merit a trip to this out-of-the-way spot, but the outstanding views of the city below are what makes it a must-see. The higher you climb, the better the views become but if you don’t feel like a hike, there are plenty of nice spots for picnicking and drinking tea. It is particularly picturesque in the winter months, when it often receives the first snowfall of the year. Darband is an old village in Shemiran, located to the north of the Saad Abad Garden, Tehran, the capital city of Iran. With its cool summers, Darband is a highly visited tourist attraction in Tehran. The Darband River passes through this village. It is the beginning of a popular hiking trail into Mount Tochal, which towers over Tehran. A chairlift is also available for those not interested in hiking. The initial start of the trail at Darband is about 250 metres long and is dotted with a number of small cafes and restaurants. These are quite popular and are busy in the evenings, as locals and tourists alike visit the many hooka lounges along the trail. It’s the perfect get away from Tehran pollution and relax on a traditional bed inside the river. (Metro Station: Tajrish, then get a shuttle taxi from Darband street, 2500 Tomans per person.). Laleh Park provides pathways for walking and shade for picnics and relaxation. The park has become a popular meeting place for young people and a picnic area for families. Around the park are some popular coffee shops, fast-food outlets, and shopping centers and designer boutiques in nearby Valiasr Square. It is a well-designed green space that because of its location amid so much traffic becomes an urban oasis. It’s a great place for people-watching. As you wander through, perhaps on your way to the adjoining Carpet Museum or Tehran Museum of Contemporary Art. Built in 1971 to commemorate 2500 years of Persian monarchy, this iconic tower fuses elements of Sassanian, Achaemenid, and modernist architecture. Literally meaning ‘Liberty Tower’, the ivory-coloured, Y-shaped building is situated in a park in east Tehran, and features a well laid out underground museum. Though not as tall as the Milad Tower, it nevertheless boasts fantastic views of the city from the top floor. The tower is exteremly symbolic and important to different generations in Iran. (Nearest Metro Station: Azadi Square). This white, twin-spired church, a centre for Christianity in the Islamic Republic, sits at the southern edge of the city’s Armenian quarter. Built between 1964 and 1970 and paid for by benefactor Markar Sarkissian, the cathedral’s interior is attractive, with giant glass chandeliers hanging over the pews. 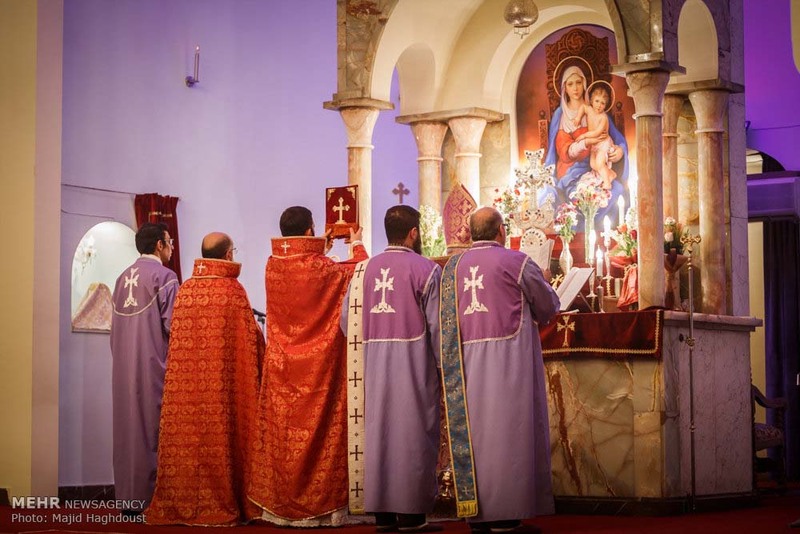 Most Iranian Christians are of Armenian descent, but there’s also a sprinkling of Protestants, Assyrians, Catholics and Orthodox Christians, all of whom have churches in Tehran, most behind large walls in the same district as Sarkis Cathedral. This village, at 1700m elevation and just north of the notorious Evin Prison, is one of Tehran’s most pleasant urban escapes. From the cluster of riverside restaurants near the central car park, paths head up through the village and connect with hiking trails across and up the mountainside. It’s possible to hike from here to Station 1 of Tochal Telecabin and beyond. (Nearest Metro Station: Tajrish, then get a shuttle or private taxi to Darakeh, 2500 Tomans per person). The former US embassy was the focal point of the 1979 revolution, when it was stormed by students who then held 52 diplomats hostage for 444 days. It’s a popular place to visitfor tourists: the front grounds (now called the ‘Museum Garden of Anti Arrogance’) are plastered with colourful anti-Western propaganda posters. Part of the chancery is a museum, highlighting the spying which went on there. Along with the street art on the walls of the US Den of Espionage, this several-decades-old mural has to be one of the most photographed pieces of public propaganda art in Tehran. A Stars & Stripes flag runs down the side of a building, the stars a set of skulls, the stripes turning into bombs, across it burned the legend ‘Down with the USA’. HI Tehran Hostel offers excellent value budget accommodation in a convenient location of Tehran, Dorms from 5 Euros, Privates from 20 + 24/7 Reception. You Are Invited!